For a long time now, CB radios have been around. 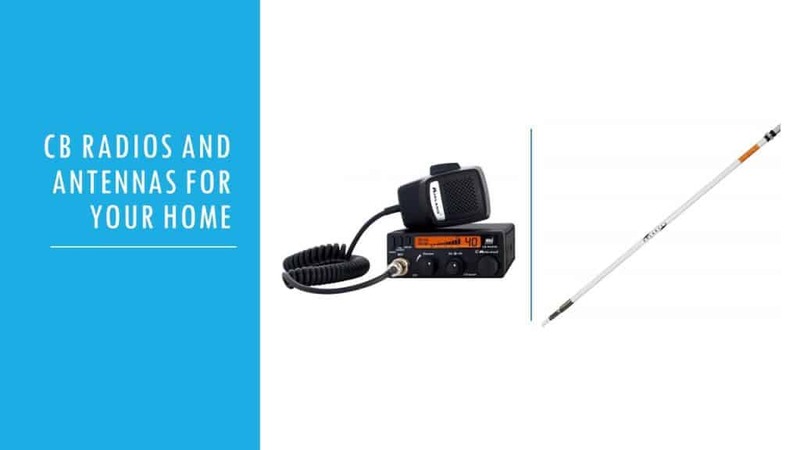 A home base CB radio, as the name suggests, is a CB fixed at home and with an antenna, they are up for a better performance. They come in handy during emergencies. I don’t think I will have to stress the importance of getting the best home CB radio and antenna for a joyful user experience. Getting the best product is not the end of the story; you need to set them up too. You might think there is a lot of things to learn and do. But don’t worry. We CB Radio Guru have you covered. 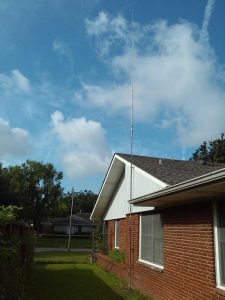 This post has everything you need to know about picking a good home base CB radio and antenna. Further down, we have detailed how to set up a CB radio at home too. 3.3 How to Buy a CB Radio for Home Use? Some of you might be wondering why a home base CB radio is important. After all, you might be enjoying that car CB radio you have. A home CB radio is meant for your home and is meant to serve you inside the comfort of your house. The home base CB radio provides you with information, say weather for instance. The information is communicated to you clearer and in the comfort of your home. Inside your house and with a good antenna attached to your radio you listen clearly. There is no reason to miss information. When you have a good CB base antenna attached to your CB radio, you will easily get better range. Better the antenna, better the expected range and signal accessible to your CB radio in your home. You can’t tell when your home base CB radio might be your last resort to communicate at an urgent moment. What’s more, a good antenna will ensure you enjoy the best performance in such a dire situation. Your user experience is paramount when choosing a home base CB radio and CB base antenna. You are going to spend your days relaxing at home and you don’t want a radio causing you a headache. You shouldn’t bite fingers after purchasing and lament what a waste of money and by picking the best home base CB radio and antenna and you won’t be. There are many choices outside which makes the decision hard to make. Our list has made your decision on the choice of CB radios easy. The choice is narrowed. The best have been compiled. The best CB base antenna is now at your fingertip. Below is your list of best options. We didn’t have to think twice to place Galaxy DX-2547 on the top of this list. Without any doubt, this is the best CB radio you can get for your home. 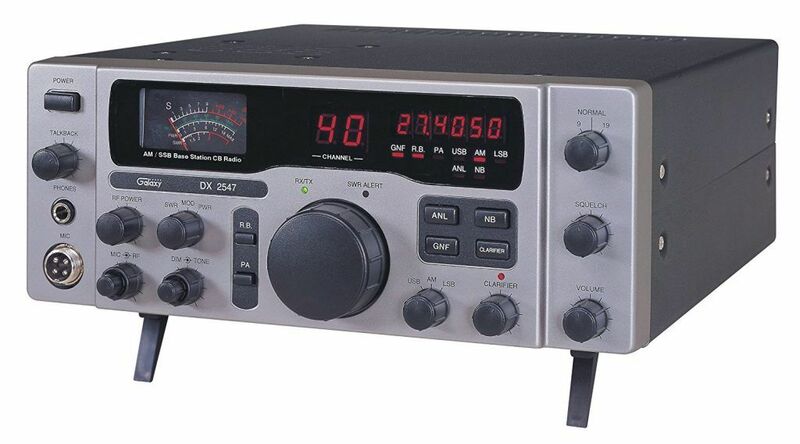 Galaxy DX-2547 provides you with 40 channel AM/SSB 120v AC base station CB. If you’re a person who knows one or two about CB radios, then you already know the quality of Galaxy CB radios. Normally your CB radio output should be efficient and of good quality, and that is what you get with this Galaxy CB radio. This product comes with a variable RF Output. Other features like Automatic “No Calibrate” SWR Meter, Mic & RF Gain, switchable Roger beep, frequency Display, Modulation meter function, talkback control etc. are also available. The user experience is at the back of the manufacturer’s mind and that’s clearly reflected on 2547. The user-friendly device makes your user experience a dream come true. Galaxy has taken their time out, ensuring you are provided with the best quality. This is evident with how easy it is to use this product. It works fine and every specification works perfectly as described. The power, the channels, all that is expected of the product says it all. Getting one for your home is the best choice you can make. Be assured you have Galaxy support when you need it. The weight stands at 18.2 pounds and the dimensions are 11.5 inches’ x 11.2 inches’ x 4.2 inches. The second one on our list is from Uniden. The 980 is a fantastic SSB CB radio that is going to give you the additional power normal CB radios can’t provide. 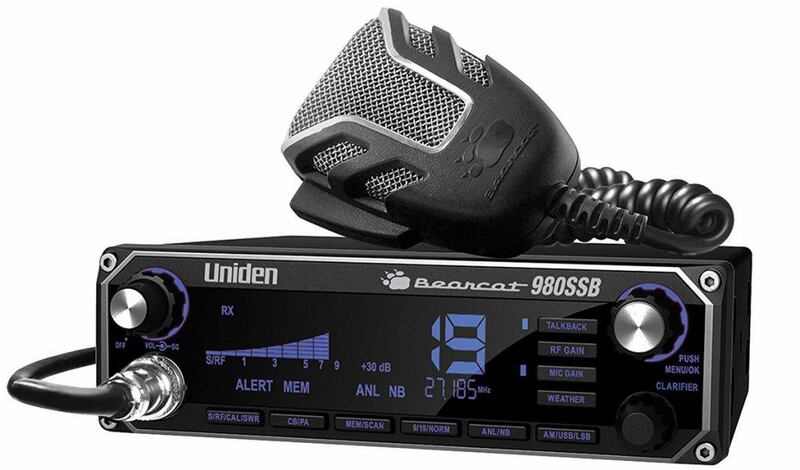 If you’re living in a remote area or if you would like to transmit longer distance, then we would advise you to choose Uniden BEARCAT 980. Apart from the range factor, you will also enjoy a hassle-free communication. The noise-canceling microphone does a commendable job. The device is also wireless compatible; this means you can place the CB anywhere in your home and communicate sitting anywhere in your home. The color changing LCD display also deserves a word of appreciation. You can adjust the brightness of the display and the size makes it very easy to read the levels. You can’t get the best out of your home CB radios if you don’t have good quality home base CB antennas. The best performing antennas usually have a greater length, strong against wind, high power handling ability; they put the most signal out and bring the best signal for your use. Only for a matter of choice and understanding, such good antennas are not hard to come by. With your users’ convenience in mind, the Solarcon A-99 provides you with the quality user experience. 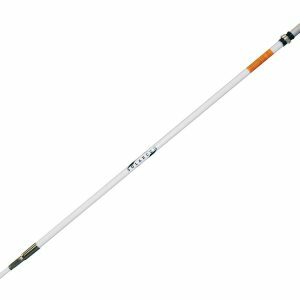 Solarcon A-99 fiberglass is Omni-Directional Fiberglass base station antenna. 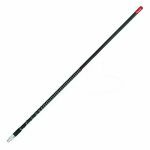 The product’s fiberglass antenna is the highest gain antenna on the market. It’s sleek, slim and user-friendly. Using the product with GPK-1 ground plane will produce one of the quality outcomes you can’t forget. Good antennas should have high powers and that’s exactly what Solarcon A-99 can do for you. The high power handles 2000 watts of power and it is protected with volts as high as 14,500. Perhaps you are thinking of an antenna for export use, perhaps you are thinking of commercial use, this product is best for you to use. It is suitable when used for export and commercial or a 10-meter ham. Your antenna is up for work with any of that. Also, it is suitable for 10M – 12M amateur use. The products heavy duty mounting plate makes it strong and can stand greater wind loads. The manufacturer knew that wind can be a nuisance and can ruin your user experience and damage your antenna. So, the product is not made for output use alone, the quality extends above that ensuring you don’t lose your antenna in case of slight heavy wind. When you get one for yourself, it requires an optional mounting mast and an optional coaxial cable depending on your choice. Also, the products give you access to the lowest SWR reading you can get. Buying the IMAX-200, you will have the highest gain fiberglass antenna that’s available. Your money has captured the best off the market. The antenna works fine with IMAXGPK ground plane. Your IMAXGPK has a compatible antenna that goes perfectly with it like slicing some butter over bread. Clearly and easily you will have access to the CB base station. With the IMAX-200, the manufacturer, Solarcon, has made an improvement on the ‘Solarcon A-99’ in terms of power. The IMAX-200 handles higher power, as high as 5000 watts of power. Also, it is insulated as high as 14,500 volts. You have an antenna that can be used for commercial, export and 10-meter ham. It’s a full 5/8 wave antenna. Its heavy duty mounting plate makes it strong against greater wind loads. The products is not made for output use alone, the quality extends above that. It ensures you don’t lose your antenna in case of slight heavy wind. 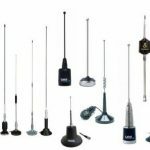 Choosing this antenna means you have an easy to assemble antenna that we take you no stress to fix. It comes in a 24’ Antenna in three easy to assemble sections. Assemble them; use them, easy, easy. It has 5.1dBI gain. Without a tuner, it operates effectively 10/11m bands. With a tuner, it operates 6 through 20-meter bands. The product has a U-clamp which is necessary when you want to attach it with an optional mast pipe. The mast pipe is a choice. If you don’t want it, don’t use it. They aren’t meant to cause you troubles. They are an addition because the users’ choice is important to the manufacturer. Some users might want it; some will not. The product will satisfy you well and beyond your expectation. Having the IMAX-200 means you have an antenna for receiving and transmitting frequencies as you please. Just as intended by the manufacturer, it will satisfy your need, hooking up your CB radio and CB base station like a marriage made in heaven. Even for a long distance communication, mount your antenna above obstacle, and you will be amazed at the quality you will get with what you bought. Although the weather can play a little role in its performance, you still have a wind resistance antenna. It is strong and reliable. All you need to do is to increase its height above obstacles. 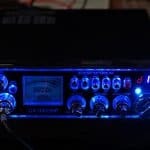 How to Buy a CB Radio for Home Use? I know that our reviews are more than enough to fetch you what is required for your home. However, we don’t want to finish it there. You can also easily find the CB devices for your home if you know few stuffs. When buying antennas for your CB radio, you should check the compatibility. All the antennas may not be compatible with your CB radio. You don’t want to purchase a device that won’t work together or that won’t give you the best performance. Price is another factor you should consider. You don’t need a hi-fi CB radio for your home. You won’t be regularly using it. So, a normal CB with the functions you require is more than enough. 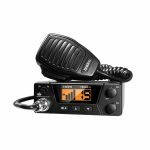 If you’re not happy with the products we have listed above, you can check CB Radio Guru’s most powerful CB radios to find more. The choice is left to you. The most important aspect that is has been done and the other is up to you. Choose the best that suits you. As I said in the introduction, setting up a CB radio at home is equally important as getting one. You need to properly install the CB radio and tune it for the best performance. Tuning means connecting your antenna to the wavelength which matches and producing the communication or information you want to access better. Unlike CB radio installation in cars and trucks, this process is far easier. However, you will require almost all the materials/accessories. Fixing the Locations: First, you need to fix the places for installation. You need to install the antenna outside your home. I will preferably choose an open space like a rooftop for this. You can place the CB radio anywhere in your home. Still, a common space like a living room or dining room are the preferred choices. Install the Antenna: You need to fix the steel pole on your rooftop. Make sure that the antenna height is enough to get away from the distortions from nearby buildings and trees. After fixing the pole, mount the antenna on it. It’s an easy process. We would also recommend you to ground the steel pole to safeguard the whole set up from lightning. Coaxial Wiring: The Next step is the wiring. The signal communication through CB radio and antenna is through coaxial cable. You need to connect the coaxial cable from the CB radio to the antenna. You can have a look at the below video to understand bit more. That’s it; that’s how you set up a CB radio at home and you’re all ready to go.